The Warriors are locked and loaded and have their sights set on bringing another NBA Championship to the Bay Area. With a sharp-shooting high octane offense, Golden State is gearing up to make another run at the Pacific Division; however, rivals the Los Angeles Clippers and the Los Angeles Lakers will look to ruin the Warriors' plans. Grab your Golden State Warriors tickets and head down to Oracle Arena to emphasize the home court advantage during their quest for another NBA title. The Golden State Warriors have got everything going their way. The team has been riding high since the 2014-15 season. In that campaign, they clinched their fourth NBA Championship by beating the Cavaliers. In the 2015-16 season, these two teams collided again for the top prize but this time, The Cavs emerged victorious, 4-3. However, the Warriors were able to take their revenge in the 2016-17 campaign and lifted their fifth NBA title by defeating The Cavs, 4-1. The Warriors and Cavaliers met for the fourth consecutive year in a row in the 2018 NBA Finals. The Warriors won this match up as well, this time sweeping the Cavs 4-0. Over the years, the Golden State Warriors have put up some dominating performances. They have also delivered plenty of memorable moments along the way. Let’s take a look at some of them. Breaking the record – The Golden State Warriors cemented its place at the top of the NBA in the 2015-16 season. The team set the best ever regular-season record of 73-9, eclipsing the Chicago Bulls record of 72-10 they set in the 1995-96 season. In addition, the Warriors also went on to break over 25 NBA and over 10 franchise records in that campaign. Winning their fifth NBA Championship – The Golden State Warriors were unstoppable in the 2016-17 season. The Warriors qualified for the playoffs and went on to defeat teams like, the Trail Blazers, the Utah Jazz and the San Antonio Spurs before they played the Cleveland Cavaliers for the league’s top prize. Golden State emerged victorious in the first three games. The Cavs won the fourth game of the series but failed to deliver in Game 5 which led to the Warriors capturing their fifth NBA Championship on June 12, 2017, at the Oracle Arena. Warriors-Cavaliers Rivalry – The Golden State Warriors and the Cleveland Cavaliers have played each other on multiple occasions. Their rivalry began when these two teams squared off in the first of four consecutive NBA Finals series in the 2014-15 season. The Warriors emerged victorious in three of the four series whereas The Cavs won only one. How will this rivalry develop in the future? The fans will have to wait and see. Warriors-Clippers Rivalry – Both teams, the Golden State Warriors and the Los Angeles Clippers are members of the league’s Western Conference Pacific Division. Their rivalry primarily stems from jealousy and resentment. Warrior’s forward, Draymond Green stated, “It's no secret: They don't like us. We don't like them, and that's not going to change.” The last game between these two sides was played on February 23, 2017, at the Oracle Arena which was won by The Dubs, 123-113. How well do you know the Golden State Warriors? The Dubs were established as the Philadelphia Warriors in 1946. They then moved to the San Francisco Bay area and later relocated to California in 1971 where the team’s name was changed to the Golden State Warriors. They have won nine Conference titles and five Division crowns so far. The Dubs are also tied with the San Antonio Spurs for capturing five NBA Championships. As of now, they are being coached by Steve Kerr. The Golden State Warriors play their home games at the Oracle Arena. A Golden State Warriors tickets gets you inside one of the loudest stadium in basketball, also known as "The Roaracle." 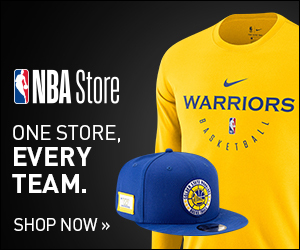 If you are looking to go to a game and be a part of passionate fan base that cheers for its team no matter what, look no further than Oracle Arena. Stars like, Tom Gola, Joe Fulks, Andy Phillip and Jerry Lucas all make the list of the greatest players in Golden State Warriors history. All of these players have been inducted into the team’s Hall of Fame. Then there is Wilt Chamberlain who remained a part of The Dubs from 1959 to 1965. During his time with the team, he was awarded NBA Most Valuable Player multiple times and was honored with the NBA Rookie of the Year Award in 1960. The Warriors also retired his number 13. The son of the former NBA player, Dell Curry, Stephen Curry has also proved to be a valuable asset for the Warriors. His efforts have led the team to two NBA title victories in 2015 and 2017. Moreover, he also won the AP Athlete of the Year Award in 2015 and has appeared in four NBA All-Star Games. The Golden State Warriors are on a roll. Will they be able to carry their current form in the 2018-19 season of the NBA? You can find out by watching them perform live. To do that, you have to grab your Golden State Warriors game tickets today. Our process for purchasing cheap Golden State Warriors tickets is simple and fast. There are so many online ticketing sites, that it can be hard for customers to find the right place to buy Golden State Warriors tickets at the cheapest price. At ScoreBig we think of our customers first and foremost. We offer daily deals for Golden State Warriors events, so our customers can get the best seats for the best prices. ScoreBig will always go above and beyond to offer the cheapest Golden State Warriors tickets on the market. The Golden State Warriors schedule above, displays all available events for 2019 and 2020. Once you find the event that you would like to go to, click the red “Get Tickets” button. It is located on the right-hand side of the event listing, it will take you to an Golden State Warriors event ticket page. ScoreBig's event ticket page will display all available Golden State Warriors tickets for that event. On the event ticket page to help with your search for the right Golden State Warriors tickets, use the filters at the top to select quantity, price range, and more. There is also an interactive seating chart so you can pick where you want to sit. When you are ready to buy a ticket, click on the listing, and you will be directed to ScoreBig's checkout page. Upon completion of the information fields, your order will be processed and your Golden State Warriors tickets will be delivered via email, mail, or to your mobile device. What makes ScoreBig’s site stand out from the rest? We are constantly analyzing our competitors to improve our site, service, and prices. ScoreBig.com employees strive to offer the best process and experience to buy cheap Golden State Warriors tickets. Our goal is to get you the best seats to Golden State Warriors events. We offer daily discounts on our site and for special promotions check out our newsletter. If there are no Golden State Warriors events currently available, you can use our search feature at the top of the page to see a list of all popular events going on near you. No matter your price point, we have all the best deals and discounts on Golden State Warriors tickets. For more information on prices of Golden State Warriors tickets and the schedule for Golden State Warriors, check out our listings above. The last thing you want to find out is when the Golden State Warriors event you wanted to go to is sold-out. Don’t worry in many cases ScoreBig has affordable tickets to sold out events. We sell tickets from GA all the way to premium seating and parking. Skip the scalpers in the parking lot and get your tickets online from top Golden State Warriors ticket brokers. We get you in all events, buy your Golden State Warriors tickets here from a brand that many trust and rely on for all their ticketing needs. ScoreBig offers a 100% money-back guarantee. If you have been in search of cheap tickets for Golden State Warriors, ScoreBig by far is the best option. That’s why ScoreBig has more loyal customers than any other ticketing site. Shop at ScoreBig for safe and secure Golden State Warriors event tickets.